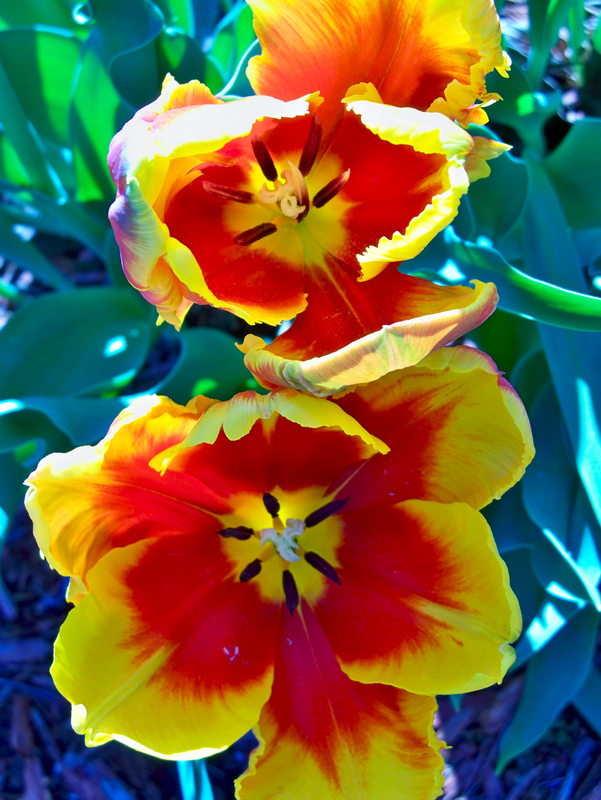 Tulips and other bulb flowers are great to plant. They keep perpetuating each year booming with beautiful blooms, then they lie dormant until the next spring. We like to plant one a year and each year the blooms grow and multiply. They are always such an incredible sight to see them pop up and fill the land with color. If you get a bulb or tulip anytime of the year be sure to keep it cut off all its dead leaves, you can place it in a cool dry place like a brown paper bag in the garage until you plant it and then you can enjoy the blooms each year.